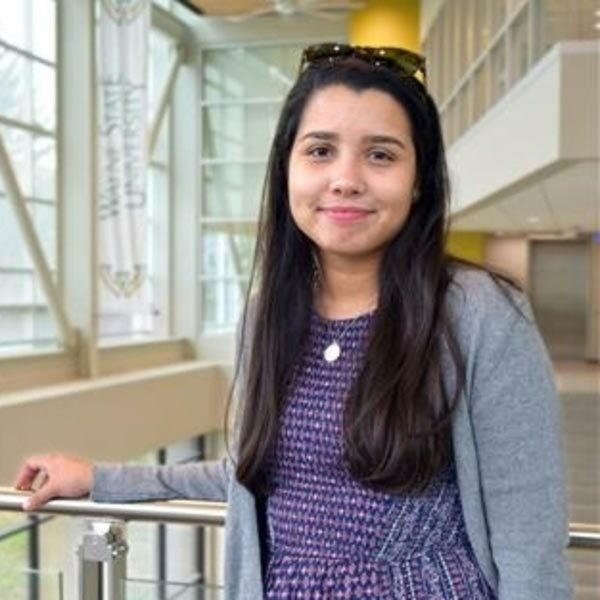 Christiana Castillo is a Wayne State senior, double majoring in English and peace and conflict studies. "Peace and justice have always been incredibly important topics to me, and WSU is the only university in Michigan that offers a peace and conflict studies undergraduate program," says Castillo. "I've always been passionate about writing, communicating and telling stories, so an English major seemed to be a great fit for me as well." Castillo works for an after-school program in Hamtramck, Michigan — a 2.2-square-mile city largely consisting of Yemeni and Bangladeshi immigrants. Many of the students she works with are learning English as a second language. She's combining the knowledge gained from her two majors to research the literacy rates of English language learners. Castillo is focusing on youth whose first language is Spanish. "I am conducting research to support my claim that bilingual literacy helps students and gives them a greater sense of human security." This research will also aid Castillo in the creation of the bilingual children's book she's writing. After analyzing the research, she plans to read her book at local youth centers. "Despite language barriers, children get excited about colors and illustrations when reading" says Castillo. According to Castillo, most of the students at her school speak Arabic or Bengali, but she better understands Spanish because she grew up with people speaking it around her. "Although I wish I could write the book in Arabic or Bengali, I'm writing it in Spanish because I know the language and the culture," says Castillo. "When writing a bilingual text, it's crucial that the material is culturally relevant and appropriate." She says the book will also promote environmental justice. Helping children is incredibly important to Castillo and she hopes to work with Latino/Hispanic children around Detroit, and one day, far beyond. "I am getting incredible support from both the English department and peace and conflict studies program," Castillo says. "The process is challenging but I cannot wait to see the outcome."